It is now the time of year that I enjoy most. The holiday season is upon us and with that comes an array of festive dining events. I absolutely love to set the table! I took this picture at the Exquisite Weddings Fall Launch party the other night. 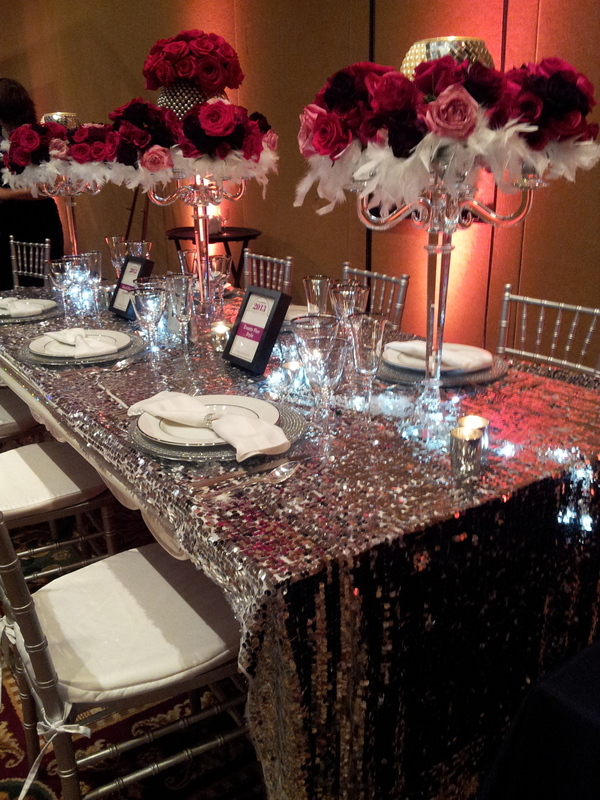 It was so glam it got me all excited about the tables I'll be setting this holiday season!